Such a decision is understandable, since it would cause a problem with the users to whom certain applications would not work. This is now the past, Google has added a mechanism in Android 4.3 called 464XLAT and solves the fundamental issue of such legacy applications on the phone, which has only IPv6 connection. In Paris World IPv6 Congress meeting, Lorenzo Colitti from Google and myself showed how the system works and how 464XLAT solves the problem of Skype and other legacy v4-only applications. The mechanism shown was a prototype, existing only on the Lorenzo’s phone, so I lent him my Simobil test SIM card, we connected over IPv6 roaming (thanks Simobil for roaming traffic for demo purposes) and Skype and other applications started working right away. How 464XLAT works? You can find it here and on the ISOC web portal D360, where the event in Paris is briefly described. Lorenzo mentioned me at the IETF meeting in Berlin, that this mechanism is now already included in Android 4.3 and the first device to be sold with this version pre-loaded is Nexus7 LTE. A few weeks ago the announcement was made that this model of Nexus7 tablet is available in our country and I ordered from one of our major online stores. I wanted to see what the user experience of a regular customer is, so I did not complicate much. I took the tablet out of the box, turned it on, went through the initial classical procedure to set basic parameters and inserted Simobil test SIM card that has IPv6 enabled (the only one that has been “cut” to the microSIM, the same would work equally well Mobitel and Tušmobil test SIM cards with enabled IPv6) and installed Skype. If the package would be sold by mobile operator, the settings of a mobile network connections would be pre-set to IPv6, but in this case I had to configure the network connection to use IPv6-only. 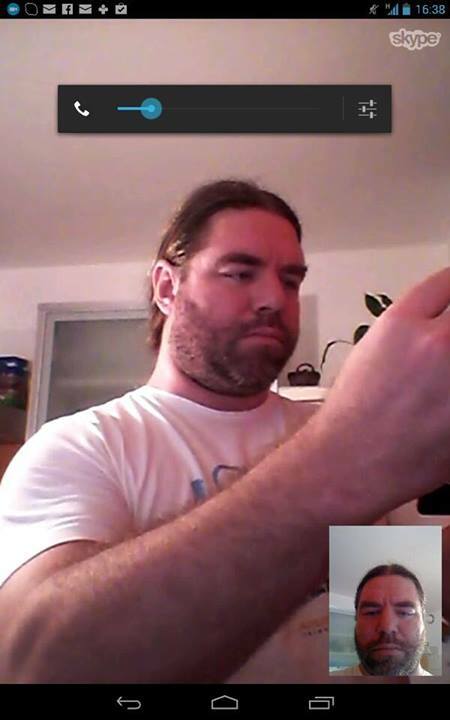 In the picture you can see the “screenshot” from Nexus7 tablet where I called the device that also had a camera focused on me, so that I can check the quality of the videocall – and I was more than surprised of how well it worked! Then I went to a “core” of the Android system and tried to find out what interfaces are there – and found a brand new clat4 interface that was not there before. This means that in the Android 4.3 464XLAT functionality is already included and enabled by default, you don’t have to ask for it specifically. It’s in there, waiting for legacy and archaic v4-only apps to send v4 packets. 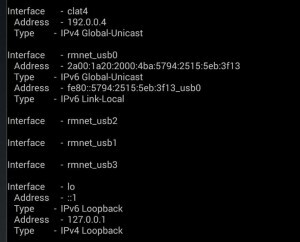 The beauty of this new mechanism is that the operator does no longer need to assign an IPv4 address to each mobile phone, that can help significantly in the IPv4-depletion crisis that is coming. 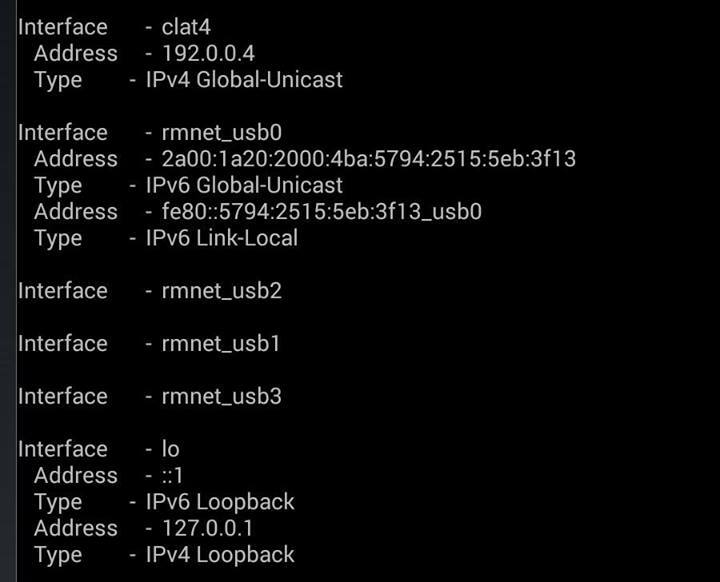 In short: CLAT interface simulates the IPv4 address , Skype is convinced that this is the right interface and it starts sending packets, 464XLAT convertes them into IPv6 packets that are sent over mobile network and the NAT64 in the core then converts them back to IPv4 and send to the Internet.